Why choose Nuffield Health Oxford Hospital for your knee replacement surgery? Our hospital in Oxford is as one of the most modern and technologically advanced private hospitals in the UK. We have invested heavily in recent years on state-of-the-art technology scanners and medical equipment, ensuring our skilled consultants have access to the finest facilities to ensure the very best patient outcomes. One area of speciality we have invested in is orthopaedics, and as a result we have upgraded our hospital to a centre of excellence. Our expert orthopaedic consultants and dedicated support staff take great pride in delivering the highest standards of private care for all our patients. As a knee replacement patient at Nuffield Health Oxford, The Manor Hospital, you will be eligible for our unique Recovery Plus programme at your local Nuffield Health Fitness & Wellbeing Gym. This programme entitles you to use our gym network to aid your rehabilitation and recovery. A partial knee replacement only replaces the part of the knee which is most affected by arthritis. This allows for a less invasive surgery to be performed, with less tissue trauma and a smaller incision. The surgeons who practice at The Manor Hospital have all published excellent surgical outcomes for this procedure. 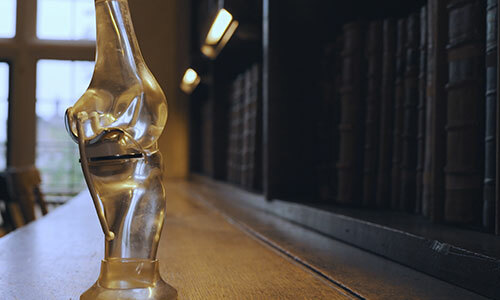 The Oxford Partial Knee was developed in Oxford 40 years ago. 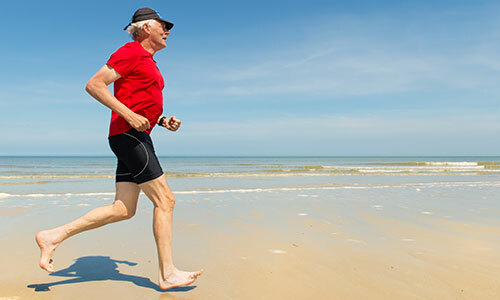 It is one of the most researched knee replacements in the UK, and a large percentage of total knee replacement candidates are suitable for this procedure. A notable benefit to this surgery is that the recovery time is much quicker when compared to the conventional knee replacement. For a more detailed specification of the Oxford Partial Knee replacement, please visit click here. Disclaimer: Nuffield Health holds no financial interest in the Oxford Knee or its manufacturer, nor does Nuffield Health endorse one medical product or device over another. The Oxford Knee is not suitable for all knee conditions. Your Consultant will help you decide which treatment and prosthesis is best for you. Did you know at Nuffield Health Oxford, The Manor Hospital you can pay for your private knee treatment yourself, rather than waiting for treatment on the NHS? Find out more about paying for yourself. The physiotherapists will work with you during your stay to help give you the best start with your new joint. It is important to understand that everyone heals differently. You will continue to improve over the next six to twelve months. Your scar should fade to a thin white line. After your follow-up visit with your surgeon you should be released to drive, but only if you can comfortably operate the pedals and control your car in all situations. This includes an emergency stop. If you are in any doubt about your insurance cover, it’s best to contact your insurance company.